Are they getting ready to swarm or are they just warm? I know this is kind of late in the year for a swarm, but I’ve already had one. It happened right around July 4th. 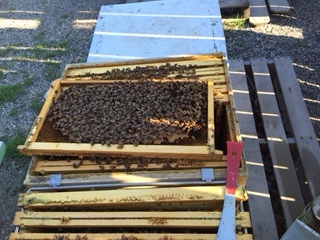 When I checked it on August 18, I noticed there were almost no bees in there and almost no honey. So, I’m nervous about another swarm. 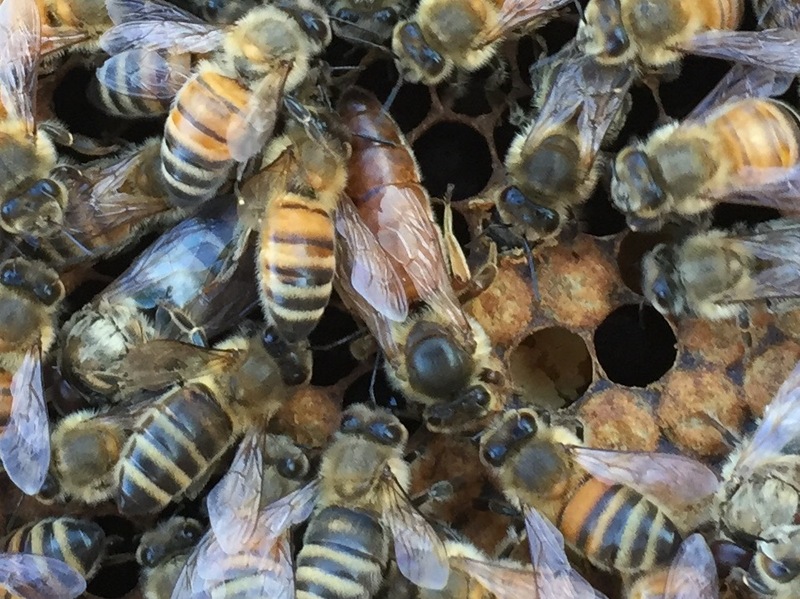 When I checked them again on August 25, the one hive was doing great. Lots of honey, lots of action. But there was some weird stuff in there that it turns out was wax moth larvae. So this weekend, I’m going to get myself a pair of needle nose pliers and start picking those things out. I hope its not too late. Cut a one-inch hole right below the taper in the top of the bottle. Boil water and add sugar to dissolve. Let cool. Add mixture to bottle, along with vinegar and banana peel. Let ferment for a day or two. I’m told this will attract moths into the bottle, where, like the roach motel, they can check in, but they can’t check out. Same goes for wasps. I’m checking it out now. Saw a bunch of wasps in there and some fruit flies. But no wasps, although I wasn’t looking very hard because it was almost dark. 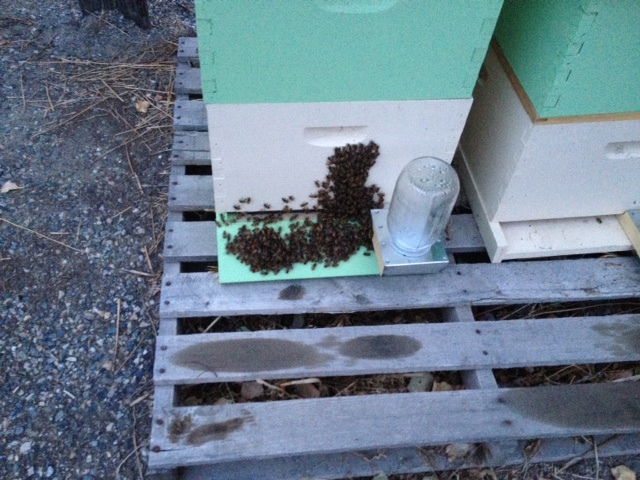 I started raising bees this spring in April 2013. I’ve done a poor job of keeping up my written journal, primarily because I never have it with me. This is my attempt at chronicling what I learn, what I want to learn, questions I have and most of all, documenting the numerous mistakes I’m making so I don’t make them again. Now it’s getting toward fall and I’m looking to learn more. I figured I’d also repost interesting stuff I see about bees. I’m also trying to figure out WordPress blogging too.